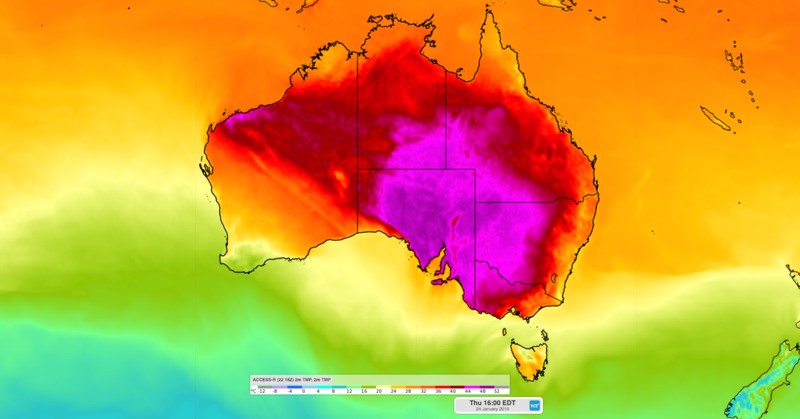 The latest in a series of record-breaking heatwaves will sweep across southern and southestern Australia during the second half of this week. Last week, a plethora of records were broken as a mass of intense heat moved across the country. In NSW, Noona registered an overnight minimum temperature of 35.9 degrees on Friday, setting a new record for the highest minimum temperature in Australia. Tibooburra also registered their warmest night on record last week, twice, when the mercury only dropped to 34.0 degrees on Thursday morning and 34.2 degrees on Friday morning. Days were also extremely hot last week, with Broken Hill registering a record-breaking three consecutive days at or above 45 degrees, between Monday and Wednesday. This feat was spectacularly upstaged by Birdsville's 10 consecutive days above 45 degrees between the 12th and 21st of January, which is a new record for Queensland. As temperatures soar again this week, more records will be challenged. Adelaide is forecast to reach a sweltering 45 degrees on Thursday and may challenge its record maximum temperature of 46.1 degrees, from 1939. 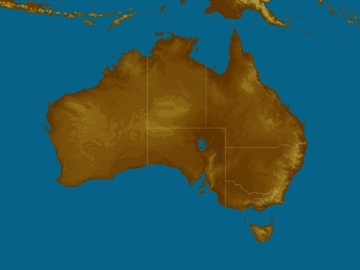 Image: Widespread intense heat will affect parts of Australia on Thursday, January 24th. In NSW, Wednesday will be Bourke's 15th consecutive day above 40 degrees and this run is forecast to continue into the start of next week. If it lasts until Tuesday, Bourke's tally of 40 degree days would reach 21 in a row. Bourke's longest consecutive run of 40 degree days on record was 22, which occurred at the old Bourke Post Office site in January 1896. However, temperature observations in Australia weren't standardised until the early 1900's, so data from the 19th century may be inaccurate. 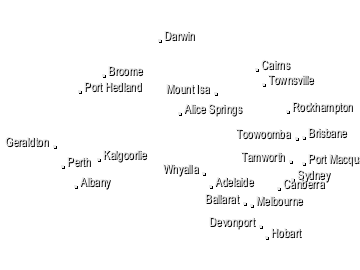 Since 1900, the longest spell of days at or above 40 degrees in Bourke was 17 in 1939, followed by 16 in 2017. Once again, Queensland will outdo NSW for consecutive 40 degree days. Both Cloncurry and Camooweal reached 38 consecutive days at or above 40 degrees on Tuesday this week, which is also a new record for Queensland as a whole. On current forecasts, this run should reach 43 days by Sunday, but may end on Monday.